So it's been forever since I did a nail update, or any kind of beauty post, and I thought it was about time to change that. 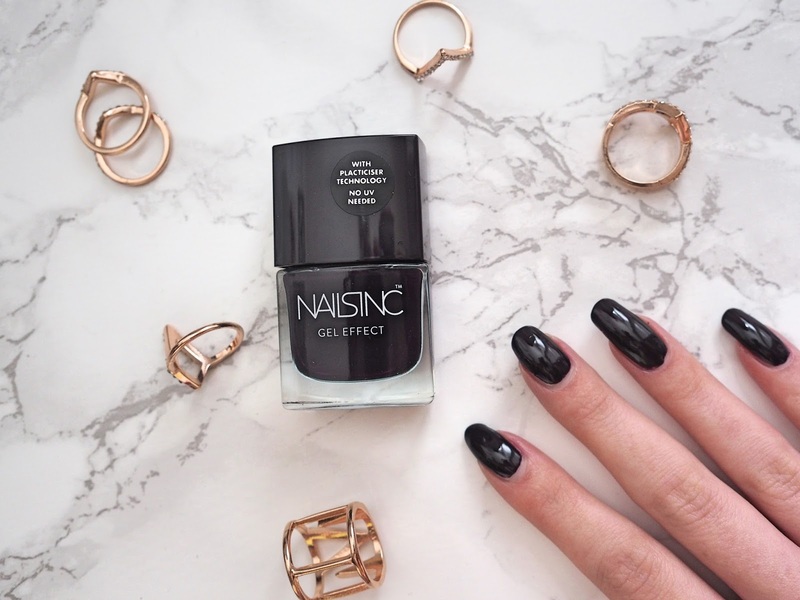 Autumn is not only my favourite season for fashion (and practically, everything), but for beauty too - any excuse for a dark lip and nail combo is good for me. 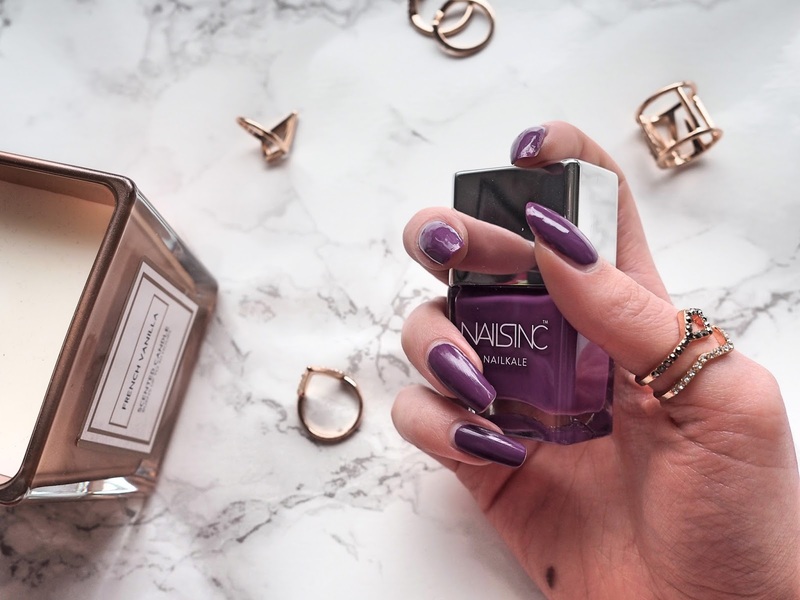 I thought I'd split this into two post: my favourite nail polish shades for the season followed my lip shades - be prepared for lots of berry tones. 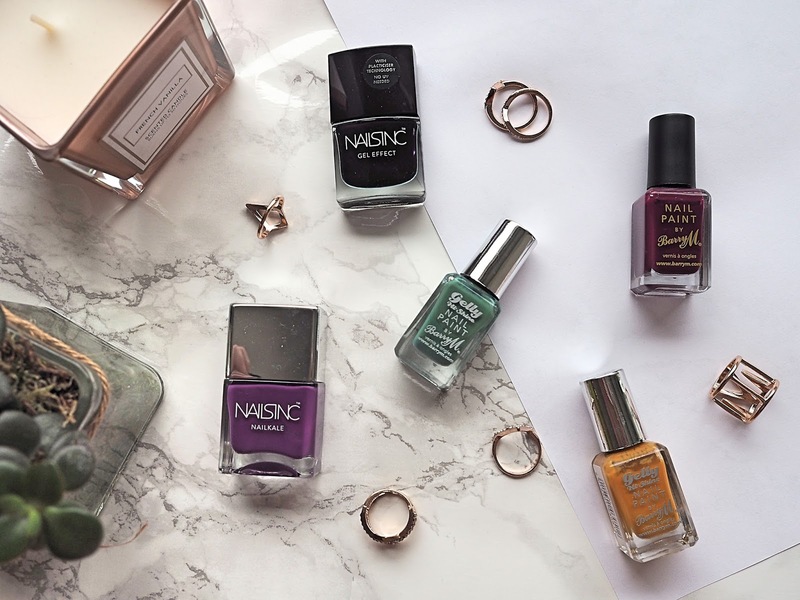 Barry M and Nails Inc are without a doubt two of my favourite nail polish brands, contended only really by WAH (but I don't have any dark autumnal shades from them yet). 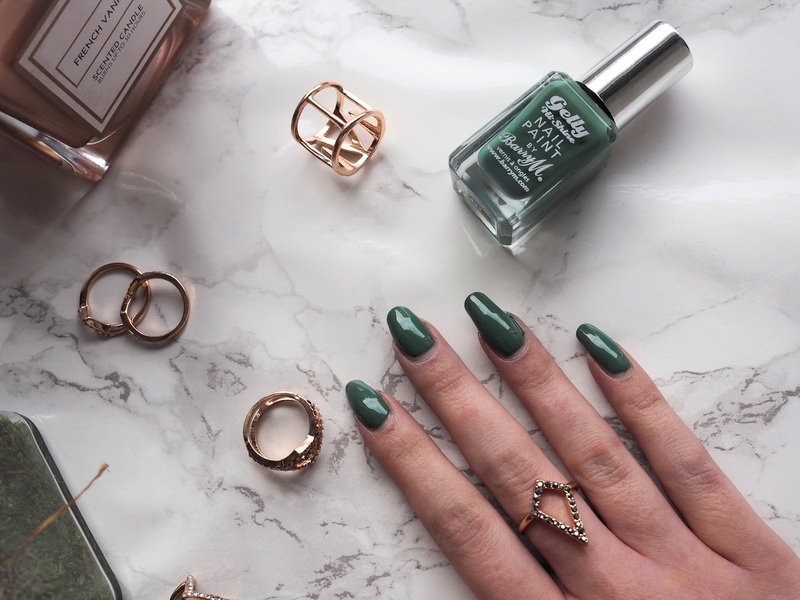 I know every blogger raves about Essie, but I've never found them to be any good for me. Maybe I've picked bad ones, but they always seem to chip and flake off from the first day? So I've got a selection of my top 5 here, a mix of both brands, both gel and normal finish. I was initially gonna pick my favourite berry toned polishes, but then I realised they were all so similar and why not mix it up a little. This comes up almost black on camera, and it is the darkest of these shades. It's basically black with purple undertones and perfect for a vampy look. I want to say this is a bright purple? It's not exactly luminous though, is it? Quite a strong, blue-toned purple. The two biggest colours for Autumn are maroon and khaki, aren't they? This khaki shade is not a dirty khaki like they often can be, maybe a little more turquoise toned. And the gel effect from Barry M is the best. 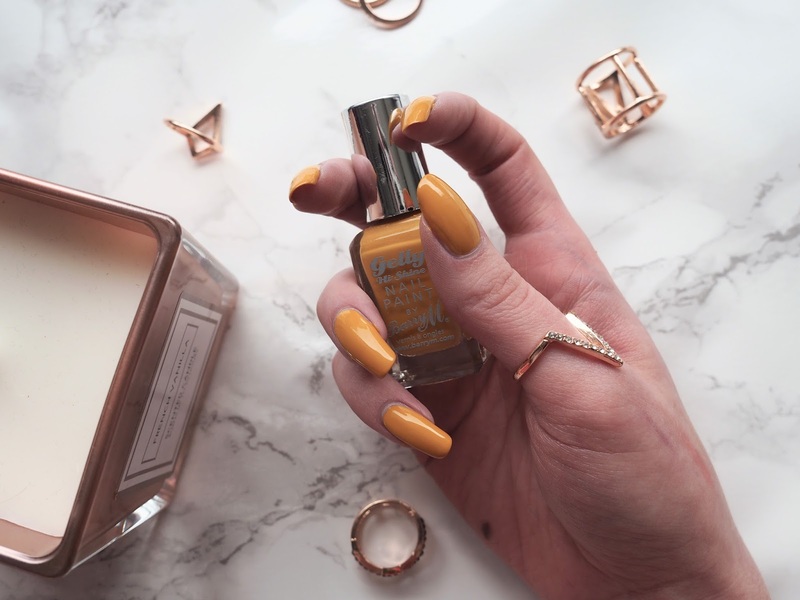 Another favourite seasonal shade is mustard - it's kind of a love it or hate it and I definitely love it. It's another gel finish and such a different, statement choice. I think this is my favourite berry shade, and I have quite a selection! It's bright enough without being bright, and has quite pink undertones to the purple. 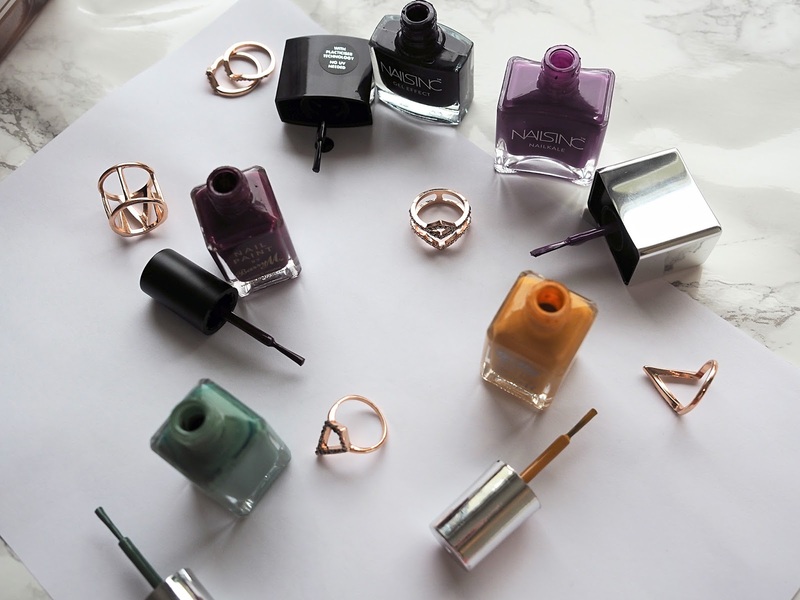 What are your nail polishes of choice for Autumn?